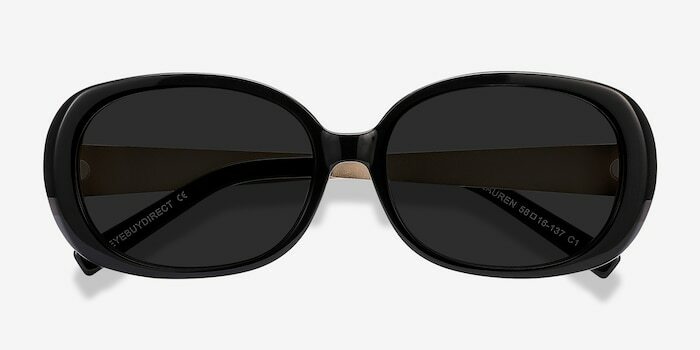 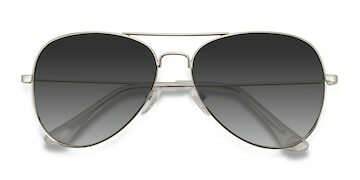 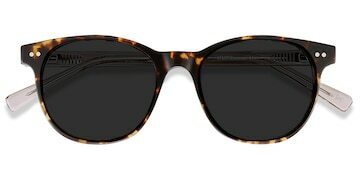 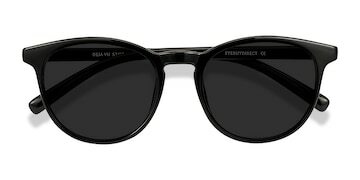 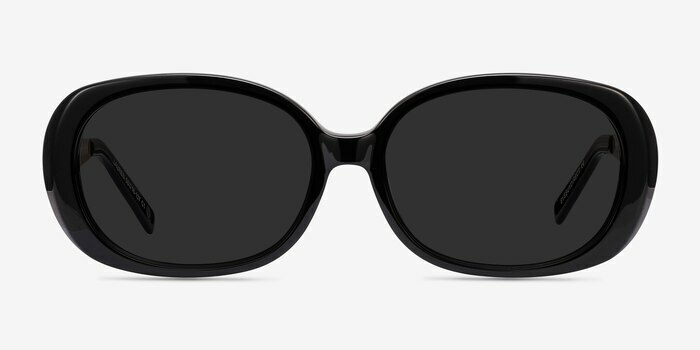 Add some vintage flair to your style with these black sunglasses. This oval shaped frame features a glossy black frame front reminiscent of old Hollywood glamour. 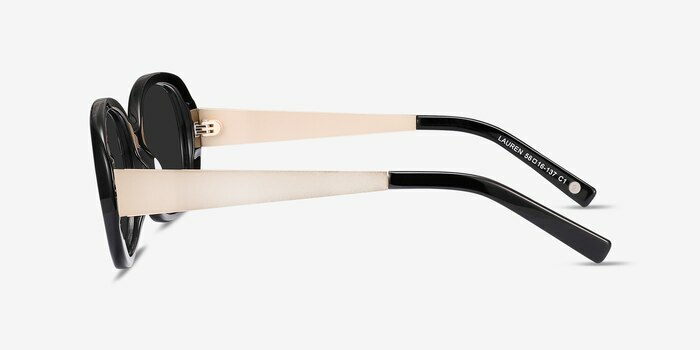 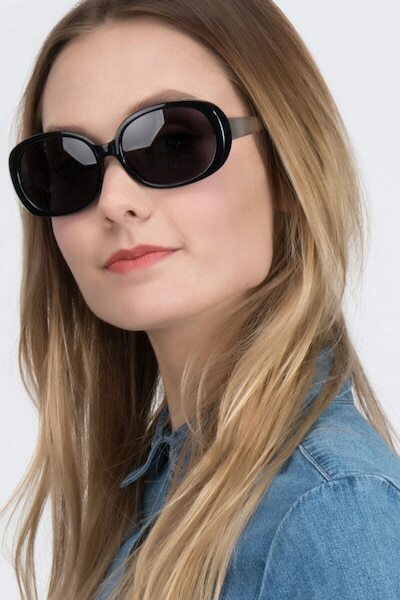 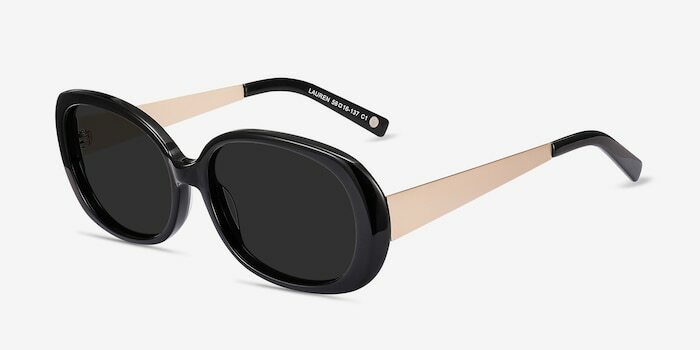 Metal temples add a modern twist to a classic that channels Audrey and Jackie O.